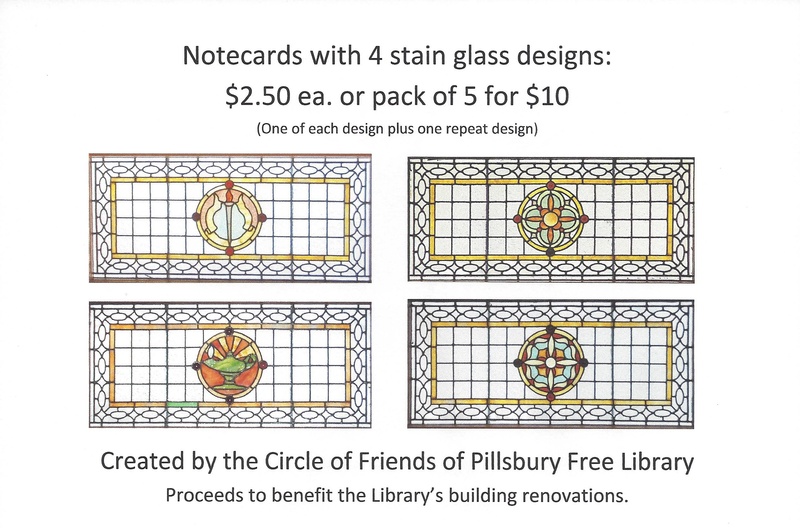 The Circle of Friends of Pillsbury Free Library is an informal group of people interested in supporting and promoting library services in Warner. The group was formed in 2014 by Joan Warren and Carol McCausland. There are no fees to join. All are welcome. Circle of Friends Book discussion Group: Meets the 2nd Wednesday at 1:30 pm in the library. Copies of each book are available from the library. Spring Fundraiser (typically alternate years) such as a Wine and Cheese party with Silent Auction. See sample at links below. April Indoor Flea Market at Warner Town Hall – donating/selling flea market items and baking for the snack bar. Bake sale assistance for events such as Town Meeting, annual Children’s Play, Book Sale, and other events. Membership meet and greet “tea” and program (Fall). Come meet members in an informal setting; learn about past achievements and future plans. Bring a friend! See also the Volunteers page for other ways you can assist the library with or without being a member of the Circle of Friends. Renovations of the historic building ceilings and meeting room walls. See 2015 auction items (March 2015) on our 2015 Auction photos on facebook page. and March 2016 Auction items on facebook – which raised Over $4000 for library renovations.